Healing inspired by natural surroundings. The new K Tower represents Phase 5 of a master development plan prepared by AHL in 1989. 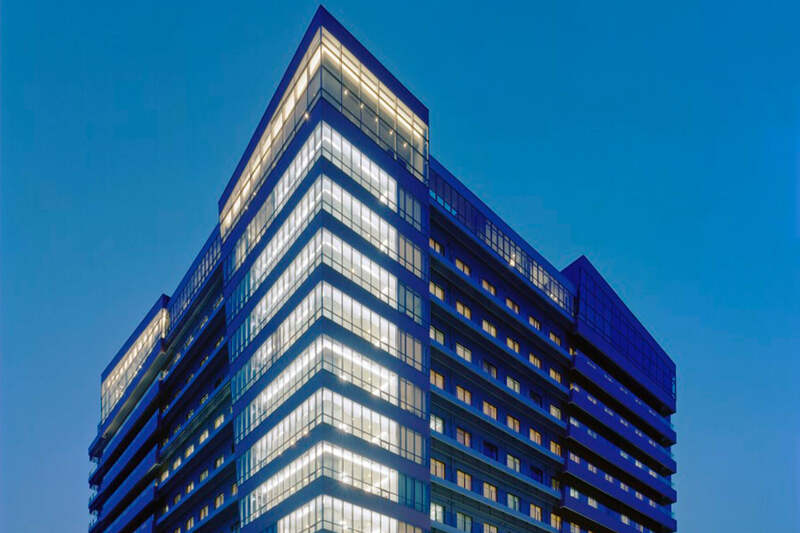 A nursing tower of 13 stories, the building includes a new lobby and educational facilities at the top floor along with administrative and patient support services, eight new state-of-the-art operating rooms, and space for 374 single-care beds. 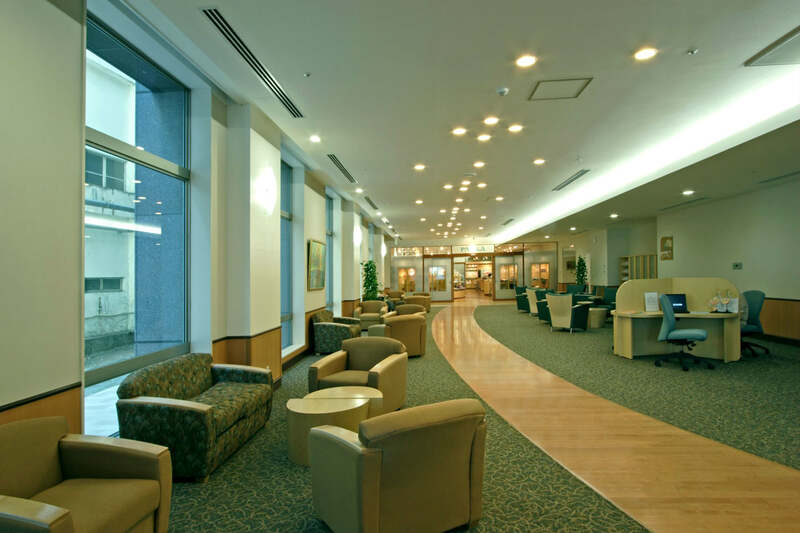 The hospital incorporates patient-centered care features and amenities including family dining and Internet access. Spectacular views of the mountains and the ocean, along with artwork, create a comfortable and relaxing environment for patients. Shedding the institutional image of other hospital buildings, the colors of this medical clinic reflect the reds, blues and greens of its surrounding residential neighborhood and provide a warm welcome to clinic patients. 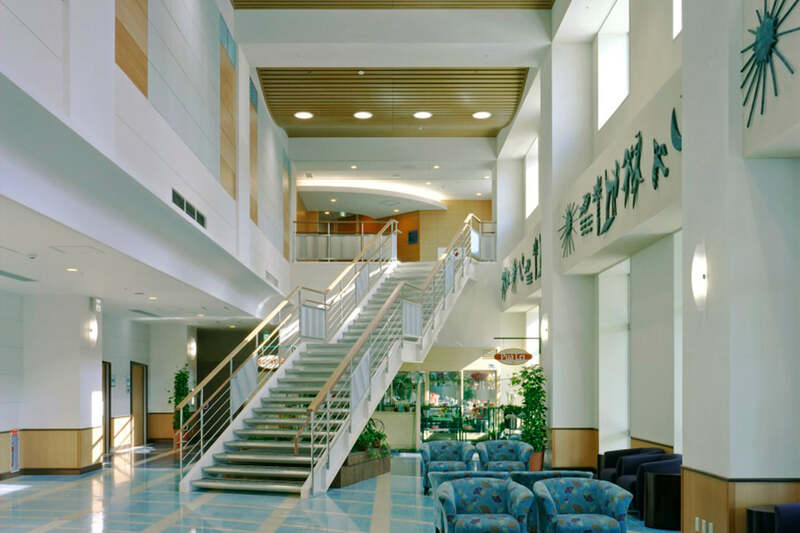 Ocean themes direct the interior design, reminiscent of the sea directly south of the clinic, while dynamic angles and visual depth provide a landmark building against the Kamogawa City skyline.